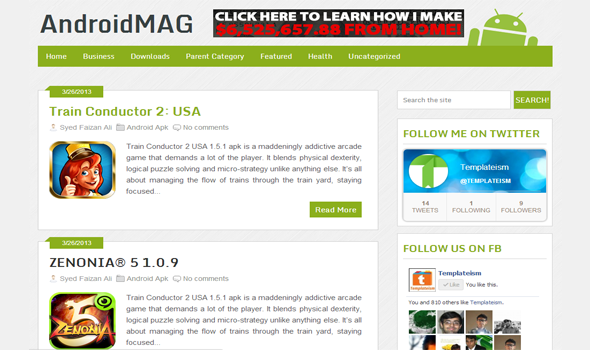 TemplateHack.com - Download AndroidMag Premium Blogger Template. AndroidMag is a blogger theme that is integrated from the Android operating system. This template was created for Android lovers, including game, root, and Android system modifications. If you are already impatient and interested in AndroidMag, please click the button below.